Oman didn't win (by a crazy amount). China scraped through to the Third Round! Barely. But what an exciting result. And now we have this interesting scenario. 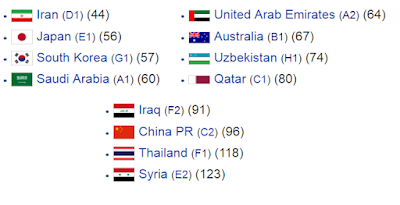 These are the remaining teams fighting it out for 4.5 spots at the 2018 World Cup with their respective ranks, courtesy of Wikipedia (again) of course. The rankings in (brackets) are outdated. 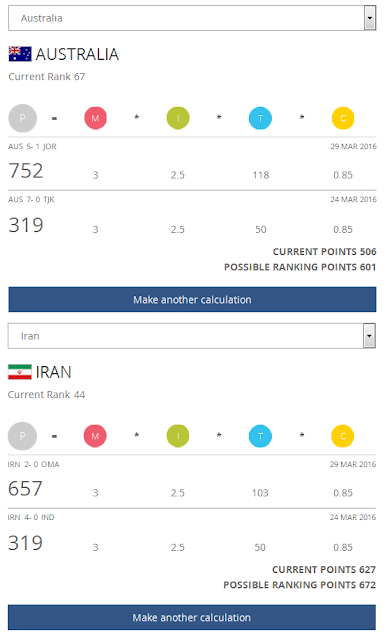 FIFA has a prognosis tool that allows you to calculate the future ranking points of a team. Now Ranks 1 and 2 will be in Pot 1; Ranks 3 and 4 will be in Pot 2 and so on. We pick one team out of each of the 6 Pots to form Group A. The remainder of the teams form Group B. This is how the 2 Groups of 6 will be formed for the Third Qualifying Round. 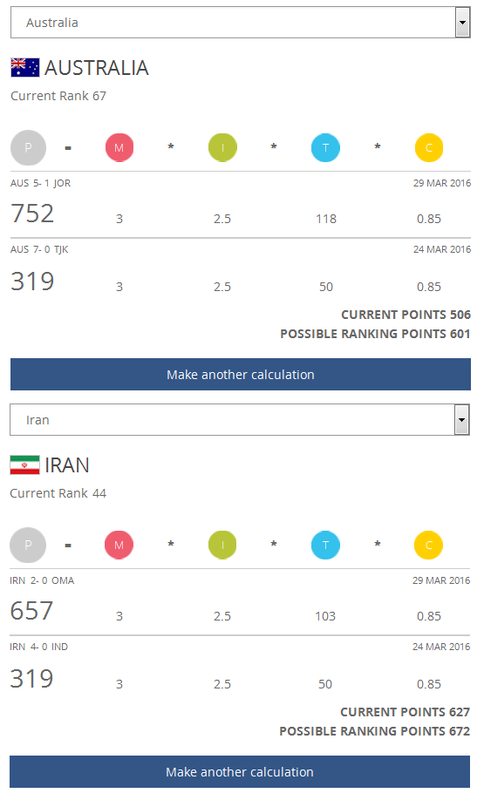 Therefore, you will see that Japan and Korea Republic can't be in the same group, just as Australia and Iran can't be in the same group. *When playing at their home ground, I think the Saudis are tougher than Uzbekistan - all other things considered the Uzbeks are probably just as dangerous as the Saudis. 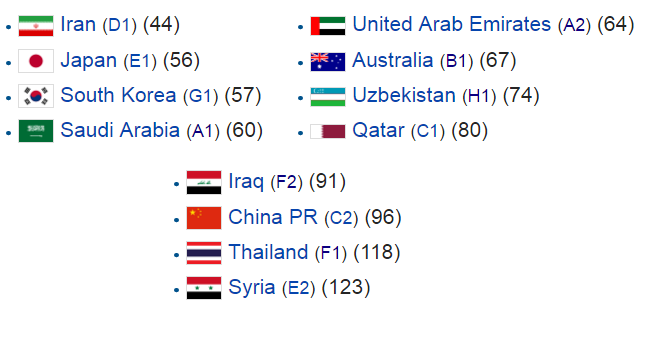 **Let's not forget that Thailand almost put the Socceroos to the sword for the 2014 World Cup Qualifiers. Plus they would be acclimatised to humid/tropical conditions and playing away might prove to be a challenge for the Socceroos. That being said, playing away to any of the 11 countries in contention would present its own unique challenges. We only need to wait a couple of weeks before the draw comes out. What does everyone else think? Which countries are dangerous and which are not? Remember only the Top 2 of a given group qualify automatically for the 2018 World Cup.